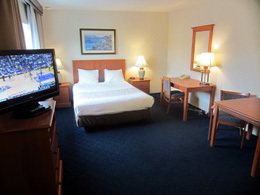 Welcome to our Guest Rooms! 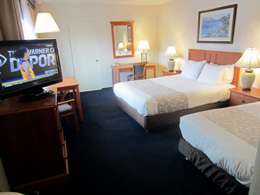 We offer you a wide variety of rooms to choose from, all of them spacious, clean and comfortable, and at a price that makes the NEWPORT CHANNEL INN the best value at the beach! 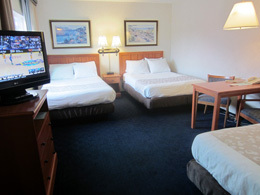 Connecting Rooms are also available, sleeping up to Eight Persons. Rollaway beds can be added to any room, if desired. 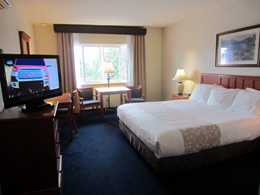 Mobility accessible accommodations available with one king size bed, roll-in shower, bathroom grab bars, pull-down shower seat, audiovisual smoke detector and visual notification/alarm for door. 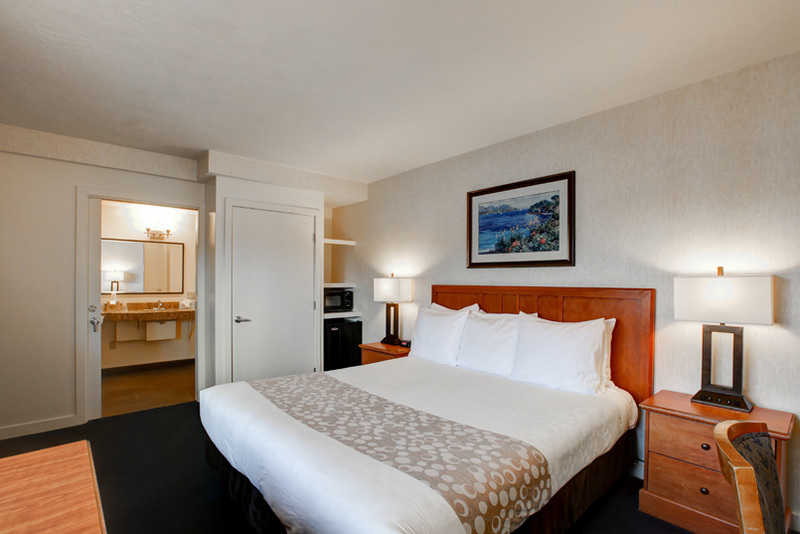 To reserve, select: “King - Accessible Bathroom – Nonsmoking” on reservations page. 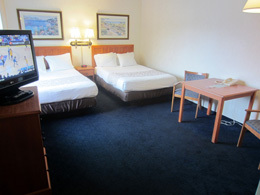 If you contact us ahead of time at 949 642-3030 or at innkeeper@newportchannelinn.com and let us know what your needs are, we can provide you with the best options and have everything in place upon your arrival. Assistance items shown above should be reserved in advance to ensure availability. The Inn has two floors with stairs to the upstairs rooms. There is no elevator. Assistance with luggage is available upon request. 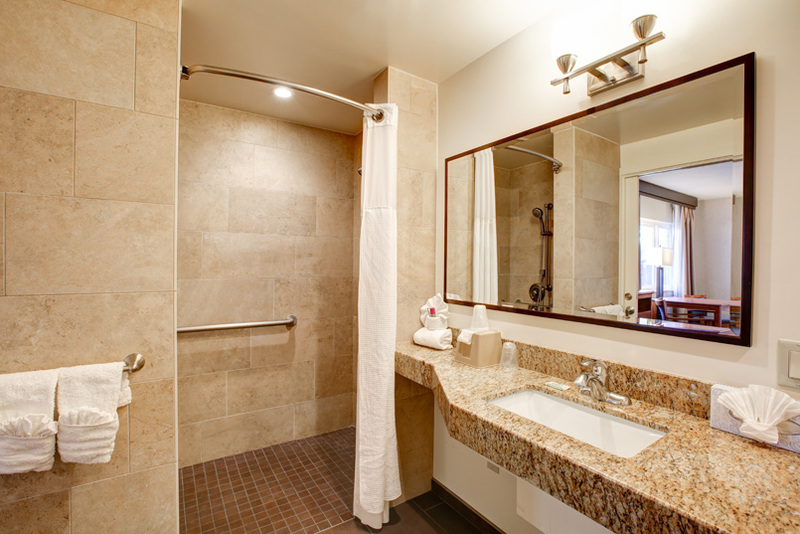 All guest rooms have showers. There are no bathtubs. Guest rooms have exterior entry doors. 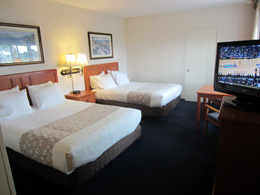 Ground floor guest rooms conveniently enter from parking areas. Newport Beach's best value! All year-round we strive to offer you rates that are the most affordable of any beach-located property in the area, while exceeding your expectations with superior accommodations, the friendliest service, and our great location. Credit card is required to guarantee your reservation. Credit Card, Cash or Traveler¹s Checks accepted upon arrival. 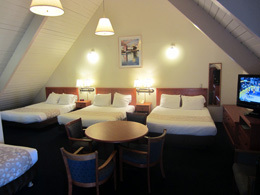 A two-night minimum stay on weekends may be required when combined with a Saturday night. 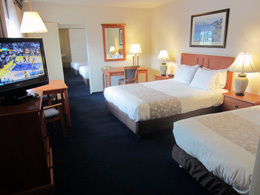 Major holiday weekends may require a three-night stay.